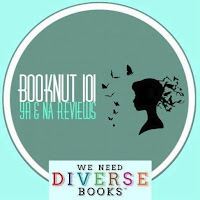 Booknut101 is an Australian YA & NA book blogger and reviewer. She hopes to one day live in a house made up entirely of books, tea, and chocolate...but in the meantime is happily living in her secret bunker under Dymocks with her pet Hippogriff. When not glued to her computer screen - or lost between the pages of a book - she’s writing random short stories and watching Austen movies for the hundredth time. Sabrina: **Stands up to shake hands** Hello Booknut! It is a so awesome to have you as my August blogger of the month! It is so lovely to be interviewing such an awesome blogger. 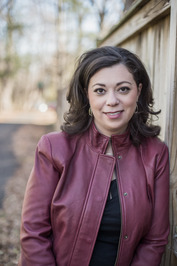 Booknut: **Pulls you in for a hug** Thank you so much for having me! It’s honestly an honour to be your Blogger of the Month and I can’t wait to answer your questions. Booknut: Well my love of books and book-related things aside, my main interests lie in the fields of photography, music, and ancient history. I adore fiddling with cameras and taking photos of everything from books to food to more pictures of food! I also enjoy playing the piano and composing music, something I’ve loved doing ever since I was a child. But my number one love has to be ancient history, especially ancient Egyptian history, which I’m currently studying at university. Getting to interact with ancient artefacts and texts and slowly revealing the stories from the lives they’ve been apart of is an incredible experience. Booknut: I definitely did not see blogging in my future way back in 2011, when this all began! Before I put together my book blog 21st Century Once Upon A Times, I wrote reviews for my school’s student newspaper. I really enjoyed sharing my opinion of books that had struck a chord with me, and got such a good response from other students that I eventually decided to try sharing my reviews with a wider audience. This first took the form of a shared blog Bookshelves and Blanks Spaces which I ran with two other lovely friends of mine from highschool. We kept the blog going for around five months until schoolwork began to pile up in the preparation period before our senior year. But I’d enjoyed the experience so much that I decided to open up my own blog...and I’ve been blogging ever since! Booknut: As much as I love writing up fun and entertaining reviews, I also like to find the time to write posts that touch on the not-so-happy-and-sunny side of the book community. I think it’s important that we try to make the book community a welcoming environment for all - and the only way we can do that is by taking the first step and acknowledging that there are issues we need to work on. My post on The Book Reviewer Battle was one of my favourites to write. It was rather cathartic - I’d been struggling with that particular topic of book reviewer anonymity for some time, being an anonymous reviewer myself. So when that Kathleen Hale incident occurred I thought it was time to voice my perspective on the matter. Sabrina: Where and how did you come up with the name and look of your blog? Booknut: Choosing the name was the easy part, actually! I chose to name my blog 21st Century Once Upon A Times for many reasons. The main one being that I’m a total romantic at heart. I believe that fairytales and happy endings don’t only exist between the pages of a book, or in an era filled with ballgowns and top hats. I’d like to think they could exist in our lives, here in the 21st century. My blog is about sharing 21st century tales by today’s authors, and inspiring readers to create their own happy ever afters in their everyday lives. The look of the blog has changed a lot over time. It’s gone from a simple Blogger template, to my own version with the hundred-or-so books featured in the background image. But this latest one is most certainly my favourite look. Choosing the pure white background has allowed for a really clean and modern look that really highlights the images used and doesn’t outshine them. Booknut: I’ve been blogging since 2011. However, it wasn’t until 2013 that I ventured onto social media for the first time and was officially introduced to the book community as a whole. I was honestly awestruck by the variety and sheer number of book lovers and bloggers on sites such as Twitter and had a ball connecting with many of them and forging great friendships. Booknut: A.G. Howard because that lady knows how to write books that give me an emotional hangover! She’s so, so talented and has a way of creating characters that really speak to you as a reader and as a person. Sabrina: It’s crazy to think that we started talking because of the Splintered series by A.G. Howard, what about this series made you like it so much? Booknut: Hahaha we are total soul sisters and you certainly can tell after my answer to your previous question! And it’s so weird to think that if I hadn’t picked up that book I may not know about a quarter of the booklovers I do today - I met so many amazing people (your lovely self included!) because of A.G. Howard and her incredible Splintered series. I think what I liked about it was that it was fantasy but it held a kind of realism that connected deeply with me. The characters have flaws, hopes, and fears, and are so complex. Their development was stunning to behold, and I fell in love with the raw Wonderland A.G. created for her characters and for us to explore. Sabrina: What 2016 ARC book are you eagerly awaiting to have the rest of the world read once it releases? 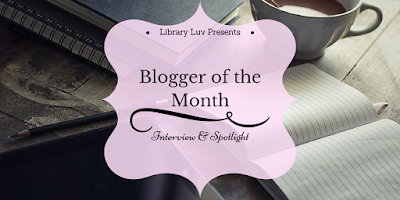 Booknut: Ever The Hunted by Erin Summerill for sure! My ARC arrived recently and I couldn’t put it down - it’s got everything you’d look for in a YA novel, including a super badass heroine. The official release date is December 27th 2016 though, so there is a little bit of a wait...but trust me, it’s worth it! Booknut: I’m not whether it’s a talent (that’s to be determined!) but I have over thirty stories sitting on my computer at the moment, just waiting to be read. Some are finished and required lots of editing (and lots of snacks to get that editing done!) and others are just little story babies learning how to walk. My real talent is constantly coming up with new story ideas and then abandoning the old ones - one day I need to get over my story committment issues and get around to completing them!